AN UNSTABLE CHEMICAL was found during a routine audit of chemicals in a school science lab in Meath this morning forcing an army bomb disposal team to later carry out a controlled explosion. 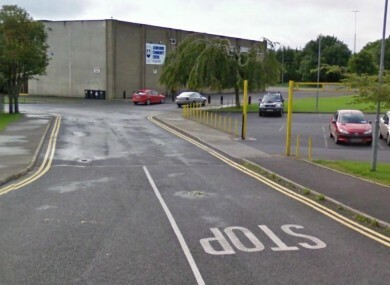 The Irish Defence Forces say that a team was deployed to Ashbourne Community College in Meath where a quantity of 2,4-Dinitrophenylhydrazine was found during a routine chemical audit in the school lab. 2,4-Dinitrophenylhydrazine is a chemical compound which is routinely used in laboratories but can crystallise and become unstable over time. It can become sensitive to shock and friction and must be handled with care when used. The Defence Forces say an army bomb disposal team arrived on the scene at 9.35am this morning and removed the chemical to waste ground where a controlled explosion was carried out and the scene was declared safe exactly an hour later. It was the 154th time the team was called out this year and the 14th time a ‘substance of concern’ was disposed of. The school declined to comment further. Email “Army called in after unstable chemical found at Meath school ”. Feedback on “Army called in after unstable chemical found at Meath school ”.